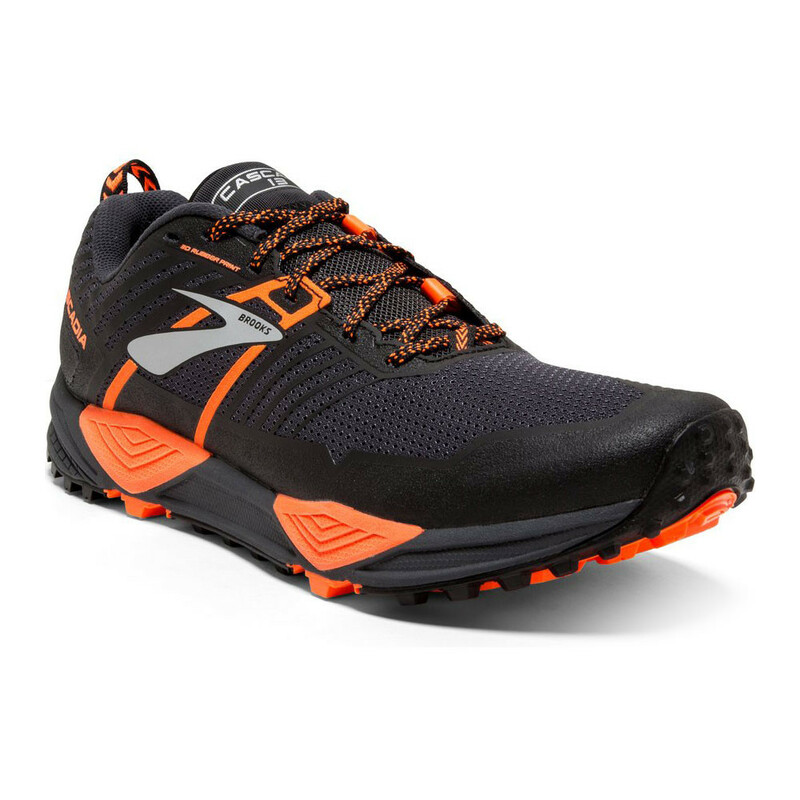 Brooks refer to the Cascadia as an all-terrain vehicle for your feet – offering comfort and protection whatever surface you’re running on. 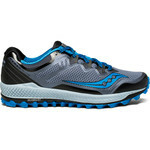 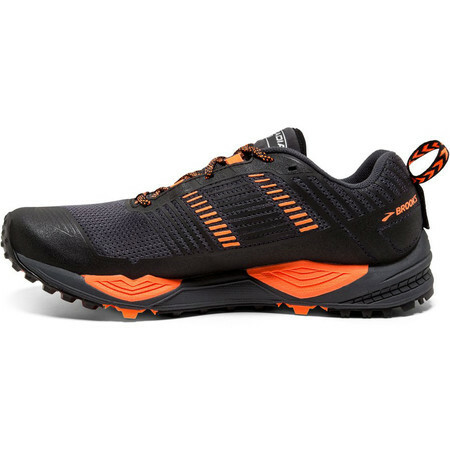 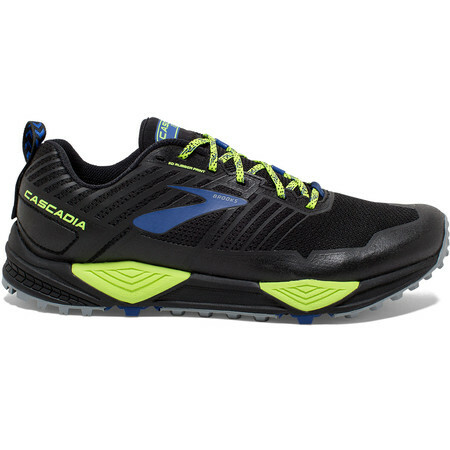 The Cascadia 13 trail running shoe has had some significant upgrades. 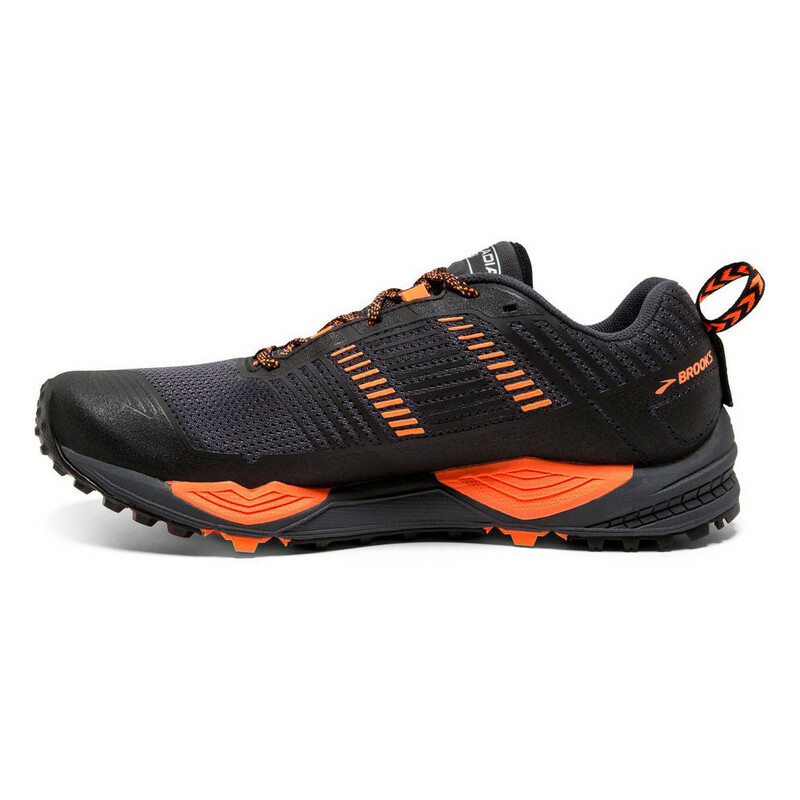 In the upper, rubber ink has been 3D printed on to the mesh to create water resistant overlays and a mud guard that protects the foot from trail debris and keeps water out to a certain depth if you step in a puddle. 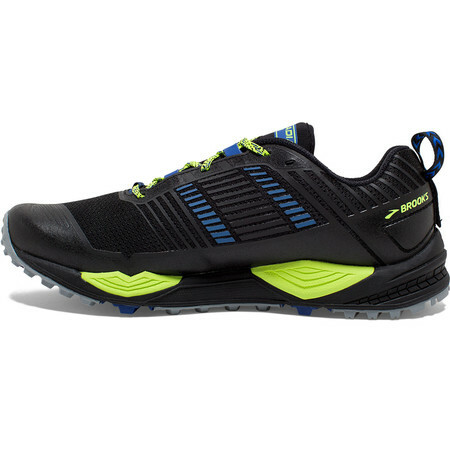 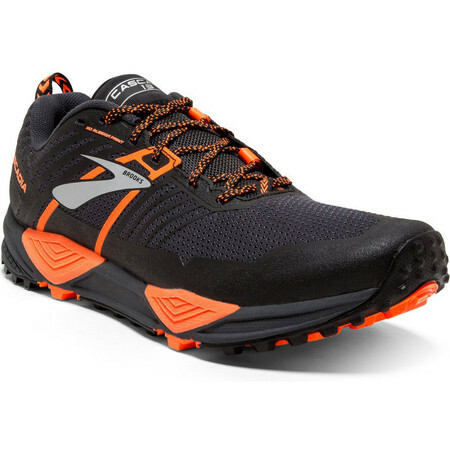 A great trail running shoe that will work on a mixture of terrains. An Ariaprene tongue provides comfort over the top of the foot under the laces and doesn’t hold on to moisture. 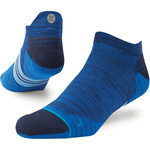 A lace guard on the tongue allows you to tuck the laces in and keep them out of the way. 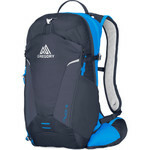 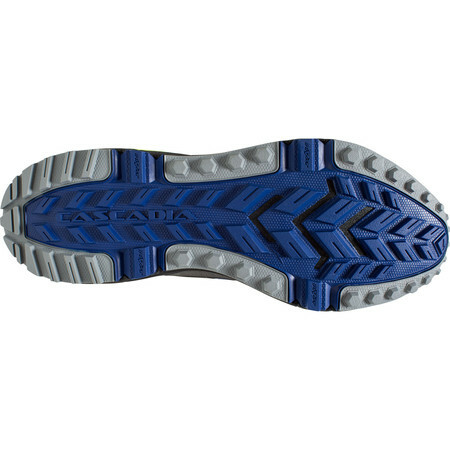 A gaiter tab at the back allows the easy attachment of gaiters. The BioMogo DNA midsole is softer than on previous versions to cushion your feet over long distances. 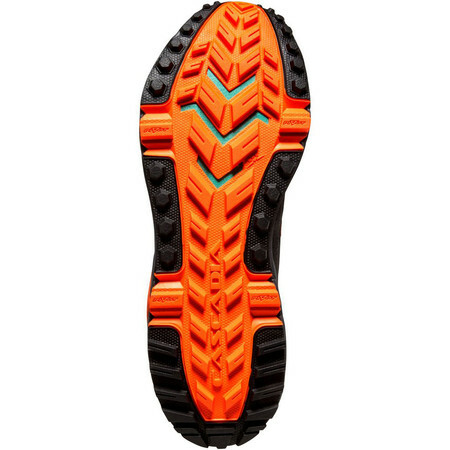 A Pivot Post System stabilizes the foot - acting like the suspension in a car and keeping the foot balanced over uneven terrain. 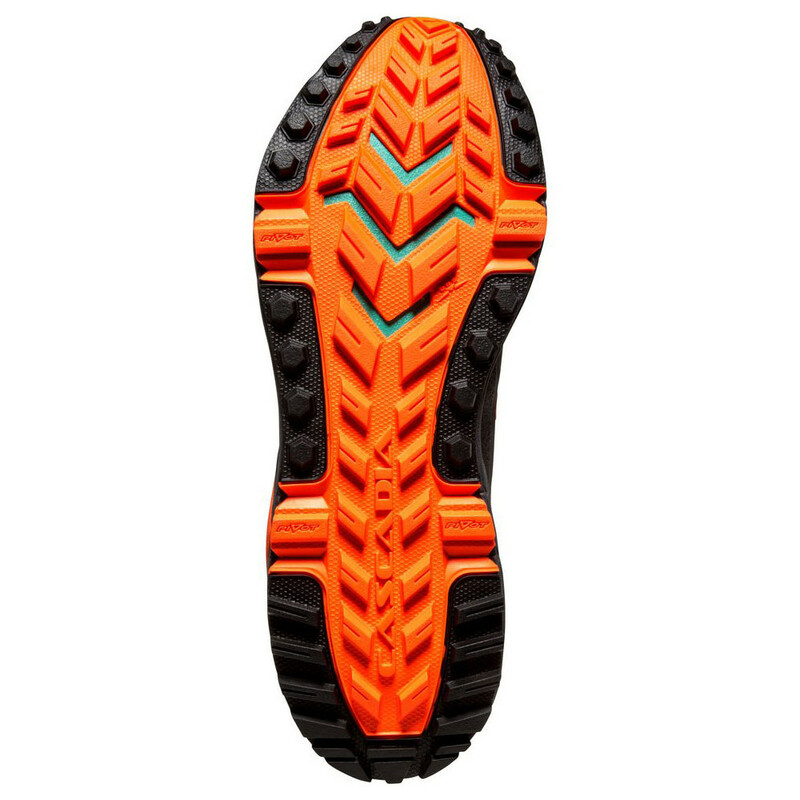 A rock shield protects the foot from trail hazards. 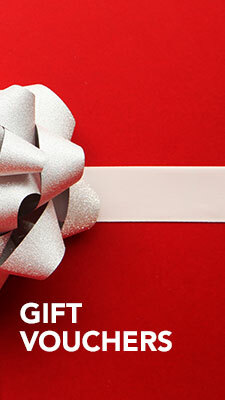 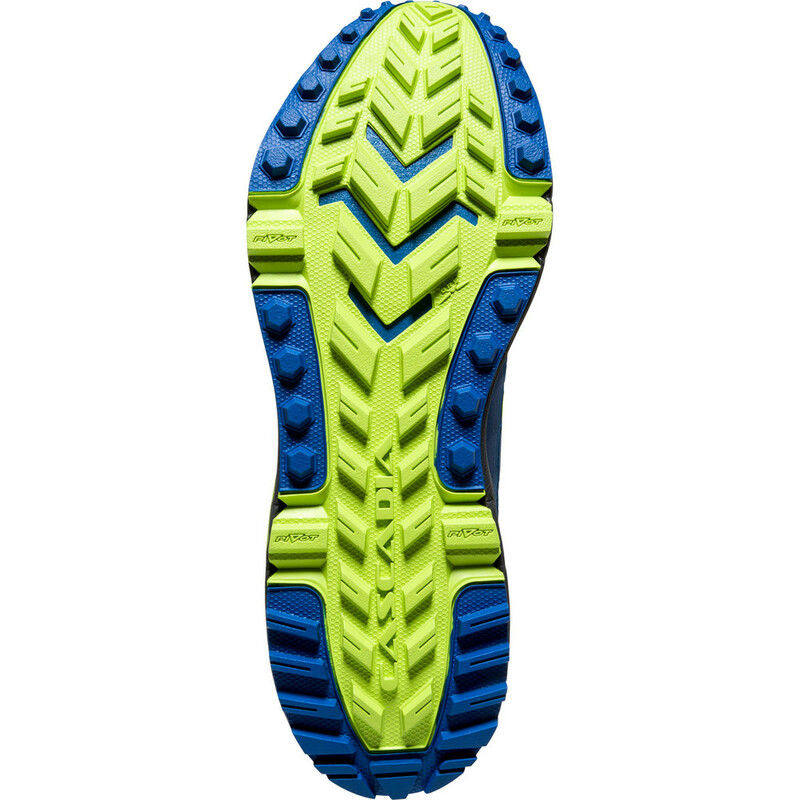 The outsole consists of small and larger lugs to provide grip on any surface. Sticky rubber round the outside and green rubber on the inside offer traction in wet and dry conditions. 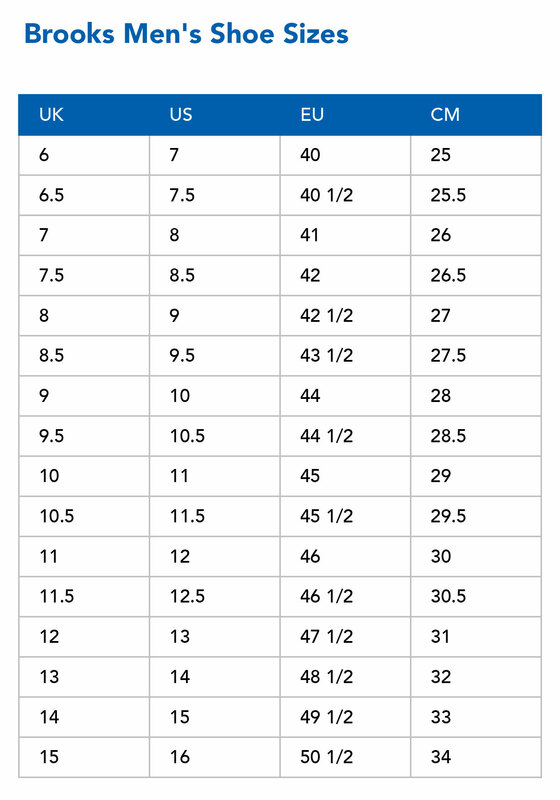 Version 13 is lighter than previous editions. 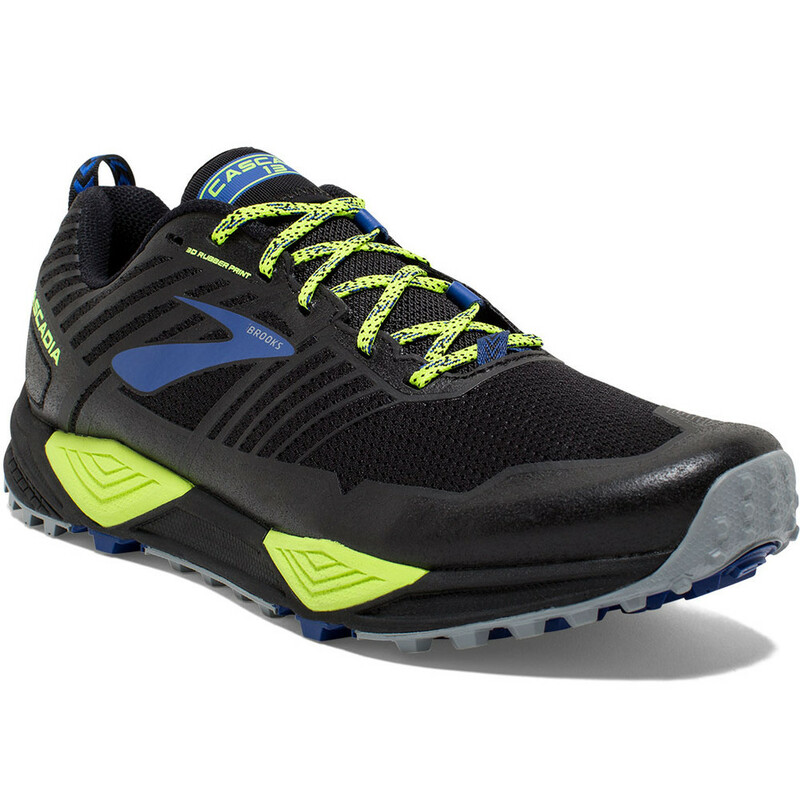 Cascadia 13 offers rugged utility for the runner who likes to run on a variety of surfaces.